Note: Below are my ‘tweaked’ speech remarks made at American Vision’s God, Culture & Government Conference, Kerrville, TX July 28, 2016. In the audience that day was a retired District Judge from Baton Rouge, LA, a former attorney for Goldman Sachs (Germany office), and a pastor of a church in Milwaukee, WI. A former “driver” of a nuclear submarine and professor of electrical engineering at the USNA and now Reformed Presbyterian minister of the Gospel later read this, too. They all encouraged me to publish this. So I have below. We all know a person can be a thief but can the civil magistrate be a thief also? Government stealing eventually destroys the legitimacy of the government and often leads to war. Stealing by ‘printing’ paper money (violating Proverbs 20:10 & Micah 6:11) as the Federal Reserve Bank does, just takes a while longer. In Lev. 27:32 God requires us to give a tithe (10%) of our annual production – i.e. net pre-tax income. Yet, God is offended when the King implies he is equally sovereign to God by demanding an equal amount of 10%. Their 10% taking will be raised by a new tax(es), or worse, they propose to rob God of His tithe, due to the Church. How so? Samuel warned God’s people who were demanding a King in 1 Samuel 8 that they would have to give 10% of their grain and vintage to the army (v. 15) and 10% of their sheep and they’d be servants to the King (v. 17). Initially they’d cry out about this offense unto God but in the end they were willing to endure it, so as to have the security of an earthly ruler (v.19-20). When we look with little true faith to the government to be our ultimate security, and not our Triune God, we grant them ultimate access to all the wealth God gave us. Immoral taxation and idolatry are inseparable. And how much more is God offended when the state steals 30%, 40%, 50% or more through taxation? Yes modern governments today are routine thieves. I am standing before you today in large part because of God using the living witness of a Christian farmer (Dutch Calvinist) whom I was privileged to be a pallbearer for at his funeral in 1983. He turned my life irreversibly in a different direction. His name was Henry Vellema and he was from Harris, Iowa. I first got to know Henry as his banker. I later came to realize that Henry was the first Reformed Christian theonomist I had every met. One who, as far as I know, had never even heard the term nor heard of Rushdoony, Bahnsen, North nor any of the other theologians. Henry loved studying God’s Law from the Bible and joyfully working to apply it. His was a lifetime of growing in sanctification. He was born in Holland in 1915. His father died and he later immigrated to America with his mother and family. His mother died in Bigelow, MN when he was 9 years of age. Around 1932 he left Iowa for California to work on a dairy farm in the Bellflower area. And about four years later he brought his savings back and made a down payment on an 80 acre tract of land in Osceola County, Iowa. He was in his early 20’s. He had an eye on a young woman in church, even before he left for California. When he came back he married Bertha, survived the Great Depression and prospered, while overcoming many challenges. It was clear, as I got to know him, that Henry left any of Abraham Kuyper’s socialistic bent (Ie. Tax funding of public schools) back in Holland. He was sitting in my bank office one day in the early 1980s waiting, while I was preparing some paperwork for him, thumbing through his postal mail. Soon I heard him grumble about a letter he received. I asked, “Anything wrong, Henry?” He said, ‘Ohhh that Social Security computer system! Somehow they started sending me monthly checks a couple of years ago.’ To which I said, “So what’s wrong with that?” Here was his reply. “I have spent years studying God’s Word and I find three ways in it that He will materially bless us here on earth. 1. He will add the increase to the righteous use of our hands and mind applied to the calling He has placed before us. 2. There is also a place for lawful inheritance of earthly wealth to be passed down to one’s heirs. All of these, Henry said, would be tied to our faithfulness to Christ and our obedience to His Law. Henry continued. “I don’t see in the Bible where receiving monies from any other source would be obedient to God, especially if it is brought to me as “free” money from the government. In the 1930s I wrote my congressman and said, ‘You can’t take care of the retirement of the elderly with Social Security. You will bankrupt the system, leaving future generations impoverished and providing incentive for the current generation to abandon their proper duty to provide for themselves. '” History has borne out Henry’s logical forecast. I asked, “So what are you saying you do about it?” “Every few months I gather up these checks and mail them back to the Social Security office in Des Moines and tell them to keep their stolen property,” he replied. He was serious and I…was stunned. Was this just one peculiarity in the life of Henry Vellema? Not at all. He never took one nickel of stolen government money to subsidize any aspect of his farming operation or his family’s needs his entire life. Yet he paid all of his income, social security and property taxes. 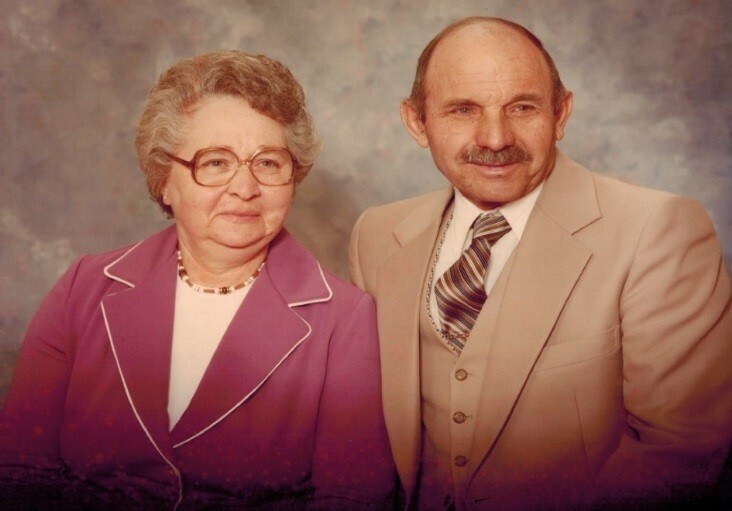 On life’s journey he and his wife, Bertha, raised 11 children on the farm and sent them to Christian schools. This was before the days of home-schooling. But this wasn’t all. Henry and his family were known to visit the widows and orphans. His family would often go to nursing homes on Sundays and read the Bible and pray to God with residents and then visit about the ‘ole days’, especially memories of their departed spouses, always reminding them of God’s goodness to us through the death and resurrection of His son. In his day-to-day business affairs, he was continually encouraging the young men he made contact with in farming or in commerce (myself included) to love their wives, to be faithful to them, provide for them, warned of wandering eyes, and admonished us to read the Bible and pray with them daily, if possible. He was never nosy with these men, just earnest for the things of Christ while caring about their families. I ran into a local plumber a year or two ago and he spoke of Henry Vellema and how he used to ask about his then-young marriage and loving his wife. He brought this up 32 years after Henry passed away. A story was told that a neighbor of Henry’s had such a problem with alcohol that his wife and children once found themselves in a bitter Iowa winter night with the heat off, pipes frozen and water pouring on the floor and very little winter clothing. Henry heard about it the next day and took some of his children to the man’s home. Before he left his farm he called the propane dealer and told him to fill the drunk’s propane tank and put it on his (Henry’s) bill, he called the plumber and asked him to come over, fix the pipes and light the furnace and put it on his bill, and he sent his wife into town to buy some winter clothing and whatever else may be needed. And when he got to the home he set about cleaning up the water mess. When all things were restored, he then pulled the alcoholic out of bed, poured some coffee into him and informed him that he was coming over the next morning at 4 o’clock and would be getting him up to take him to their dairy barn to begin to teach him how to read God’s Word and how to work. Long story short, the alcoholic became a productive worker, who, in time, sobered up and passed away years later a professing believer in Jesus Christ. What was so special about that dairy barn? In one corner Henry and this man would spend nearly an hour (starting at 4am) reading the Bible and praying; by 5am they were milking cows and by 6:30am they were busy feeding his other cattle. I imagine breakfast came after all that. Henry followed through and taught the man Christ, His Law and how to work. Henry stood up for injustices both in his church and in the community. When the sexual revolution came to Henry’s small town in the 1970s, he did not take it quietly. One night he was driving a tractor and harvest wagon thru a neighboring community and stopped at the local bowling alley to use the restroom and to get a hamburger and fries. Much to his dismay he found a newly installed contraception machine in the men’s restroom, there for the high school boys to access. He went to the owner of the bowling alley and informed him that his effort to get teenagers to start fornicating was not acceptable and that he must take the machine out as soon as possible. He told the owner that he’d stop back in a few days to make sure it had been removed. The owner didn’t take it lightly. Days later as Henry drove through the community again he went back in the bowling alley. He saw the machine still there and being a farmer with pliers in a leather pouch fastened to his belt, pulled it out and splayed the pliers open to use as a small crowbar. He proceeded to tear the machine off the wall. That night turned out to be ‘ladies bowling night’. Henry left the men’s restroom and walked on the return-ball gutters going to the very front of the bowling alley, turned around and asked all the ladies to stop for a moment. When he had their attention, he informed them of what the owner of the bowling alley was doing to help corrupt their young sons and daughters, that he would have none of it, and asked them to let the bowling alley owner know they objected too. He then laid the machine down in front of some pins and walked out of the bowling alley. A high-handed local businessman had several enterprises whose services local farmers depended on. One of them included being a seed dealer. His common practice was that when a farmer placed an order for seed he would deliver double the amount ordered and bill him for it all. Many intimidated by him, reduced any orders they’d placed with other dealers and just paid for it. This was a type of stealing from his competitors. Henry loved buying feeder calves from ranchers in western South Dakota. The annual trek to the Faith, SD sale barn was seen as a special treat to Henry though I never understood why until years later. He would go out a few days before an auction and visit the ranch families and look over the calves being gathered in for auction. Years later I served many of those western ranch families in that area, helping organize three different successful political fights (requiring voter approval) against oppressive local government. I have yet to be in any other political meetings like those in South Dakota where they open by standing together, bowing their heads and covering their hearts with their cowboy hats and professing their fear of their Holy God and their complete dependence on the grace of our Lord Jesus Christ. With my own eyes and experiences I came to understood why Henry enjoyed his treks to western ranch country. High view of baptismal vows. Henry took the baptismal vows made for his children seriously, as well as those children in the covenant community of his church. When a high-school girl from his church moved out of her parent’s home in with an unbelieving young man, out of wedlock, it was Henry who went to her door and in love called her to repentance. He urged her to move back home, repent to God, and to her parents and elders. He told her that the elders need to disciple this man and if he comes to saving faith in Christ and also repents of this illegitimacy then maybe your father and elders can bless a future marriage. But if you do this contrary to God’s Law you will grow apart from Christ, this relationship will not be blessed and will not likely endure. She did not heed. From what I’ve seen every warning Henry gave her in her youth has come to pass. When it came time to build a new church building for the local congregation Henry stood up and opposed the plan to make one side brick and the other three sides steel siding. He rooted his opposition in the Biblical doctrine of the ’first fruits’ (I.e. Nehemiah 10:35). Henry told me that some of the members built their homes out of better quality construction material than they proposed for the church building. He couldn’t recognize such lack of gratitude to his living God when they wanted to build a church that looked like a “Morton farm building”. These are some of the stories of the life of Henry Vellema – he loved Christ so passionately that he dared not live in fear of the system, nor take their unjust money. When he passed away he left, I’m certain courthouse records would show, an earthly inheritance worth (in today’s values) several million dollars. His spirit, while telling me these stories, was one of instruction – never once expressing any pride. It’s like he knew he was not going to be long on the earth and wanted them left behind for the glory of Christ. I was a 27 yr. old sponge soaking them up, even prodding him for more. Never seek their peace or prosperity. Let us not seek their peace and prosperity especially prosperity built on something God declares to be an abomination – fiat money (Prov. 20:10)! In so doing we and our children can become strong and will have much to inherit. I am personally moved by the testimony of faithful obedience by God’s people under “burdens”, “judgments”, “taxes”, etc. from their oppressors found in Exodus 1. What was their response to tyranny? They had more babies! They grew in number against great odds. This was Henry Vellema. And we’ve done the opposite for years! My life underwent a permanent change after experiencing the witness and life of Henry Vellema and his love for Christ. Every battle I have waged against an unjust state law has always been on the foundation of not being a recipient of any of their stolen property. I recognize the extreme pressure that our Marxist system places on Christian families. But I have seen far too many effective victories for the glory of Christ against this statist, debt-driven system by my family (and others) when people are often willing to materially risk their reputations and their fortunes. Let us not count the costs of refusing government money too highly. God so often provides and protects. When it gets to the point that the state has to punish Christian charity, church schools, Christian doctors and hospitals, (all of which should take no government money), food kitchens, etc. the battle – in the hearts and minds of the community – will often come our way! My former Pastor, his father-in-law and the men of their church in the late 1980’s battled the state of Nebraska over their Louisville, NE Christian school. Their battle made national news. Their victory – while facing down a phalanx of lawmen (who had seized their church and Christian school) and the Nebraska Attorney General – was beyond imagination. In the midst of the battle you will often find opportunities to prosecute their corrupt system in the court of public opinion and evangelize your enemies (Philippians 1:12-14). Henry Vellema never forgot where his wealth came from. Measure your Kingdom advancing mission, pray for guidance and direction, think years of labor toward its end, repent of any past thievery, count the costs, dump their stolen property and then engage – the results (often stunning) will be in God’s hands. A book that addresses the spiritual issue of such thievery from Scripture is Larceny in the Heart by R. J. Rushdoony. Though they had troubles with sin of their own – as all redeemed sinners do – Henry and Bertha Vellema were not troubled by such larceny common in Christendom today. Paul Dorr of Ocheyedan, Iowa is a Christian, married to his high school sweetheart for 42 years, father of their 11 children (and grandfather of 22 grandchildren….so far), was raised on a NW Iowa family farm, graduate of Unity Christian High School, Orange City, IA and Iowa State University, former banker who had an option to purchase one half of a community bank, was later a bank acquisition consultant in the 1980s and turned down job offers from John Lauritzen (then owner of 1st National Bank, Omaha) and from Frank Vogel (shortly after he purchased the former Sioux County State Bank in Orange City), led the no compromise pro-life movement for many years in Sioux Falls, SD, and is currently a consultant to taxpayers to push back oppressive local government bond, tax and spending issues. And is one who remains ever grateful to God for bringing Henry Vellema into his life. Author prdPosted on January 1, 2019 January 5, 2019 Tags Christian Reformed Church, Henry Vellema, Receiving Stolen Property4 Comments on Type Of Farmer The Christian Reformed Church Used To Produce.